Playing with your child is one of the most important things a parent can do. It’s fun, of course, and the parent-child bonding that flows from playtime is priceless. It’s also how babies and children learn. Connect with your children and bolster learning through the art of play with Fisher-Price Play IQ. We all know that play is the foundation of learning for small children. It is as important to their development as eating and sleeping. The more they play, the more they learn. Fisher-Price recently launched Play IQ, a personalised site experience providing users with advice and activities tailored to their child’s age and stage. This new system will change the way you play with your children and ensure you are making the most out of every moment spent with them. Fisher-Price Play IQ is designed to walk you through every moment of their development, allowing you to track their progress as they go. So how can you connect with your child through play? There are a number of different activities you can do with your child, depending on how old he is. Fisher-Price Play IQ is designed to help you choose activities, games and toys that are customised to your child’s age and development. With Play IQ you will become familiar with the various stages of an infant’s development, from learning how to lift her head or uncurl her fingers, to sorting shapes and stacking blocks. Once you understand these milestones, you will be better equipped to choose activities to help your child reach these goals. The Fisher-Price Calming Vibrations Cuddle Soother, for example, is designed to help develop baby’s physical and social/emotional skills by creating a comforting and soothing bedroom routine. For younger babies, you will find this is a perfect toy to help them reach the milestone of sound recognition. 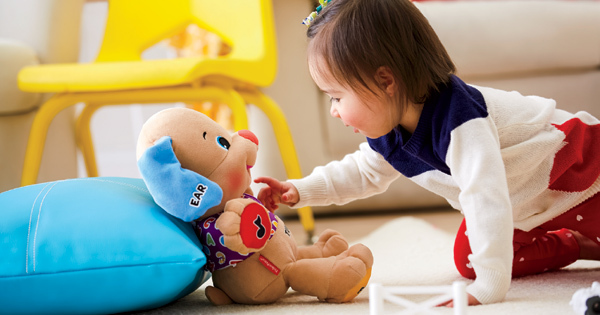 The Fisher-Price Laugh & Learn Smart Stages Puppy is a great option to expand social and emotional skills as well as cognitive development for children aged 6 to 18 months. The Puppy grows with your child so you can select the stage that is best for him, from exploration of first words to imaginative play. 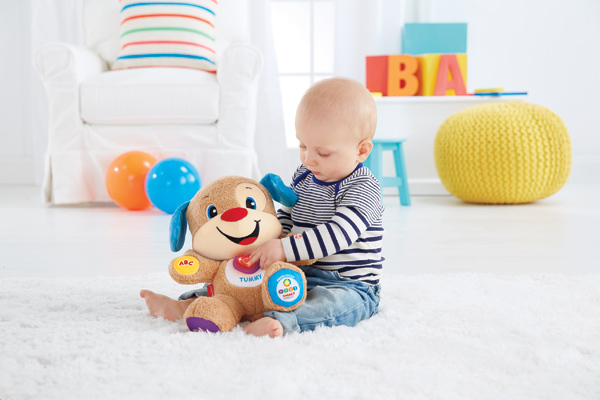 Through interaction with this adorable puppy your child will hit a number of different milestones, introducing him to body parts, letters, colours, counting and 50 familiar songs. Studies also show that toys matter when it comes to child’s play. This doesn’t mean you should buy every toy on the shelf, but rather that you should base your toy selection on where your child is development-wise. 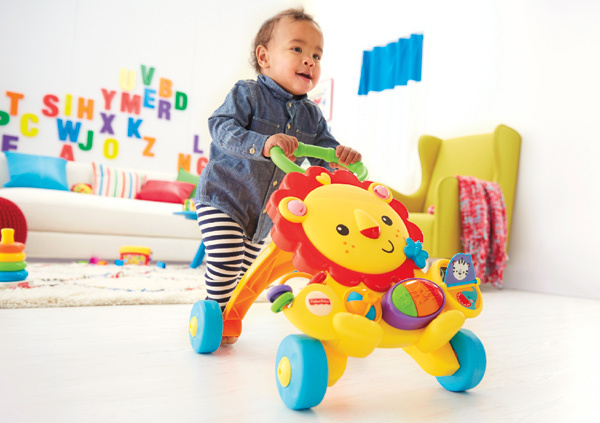 The Fisher-Price Musical Lion Walker is a great friend for babies progressing to the cruising stage to help build confidence and transition into the wonderful world of walking. It aids with cognitive development through various busy activities including a light up nose, a piano with lively sounds, a peek-a-boo mirror and a colourful spinning dial. Play time is something that should be cherished. There is nothing sweeter than relaxing on the floor after a long day and watching your little one smile, coo and clap as she explores new sounds, practices new skills and achieves new milestones. And choosing a toy that not only provides entertainment but also helps her to learn about the world around her, to gain confidence and to challenge herself as she develops her skills can make this valuable time even more rewarding. 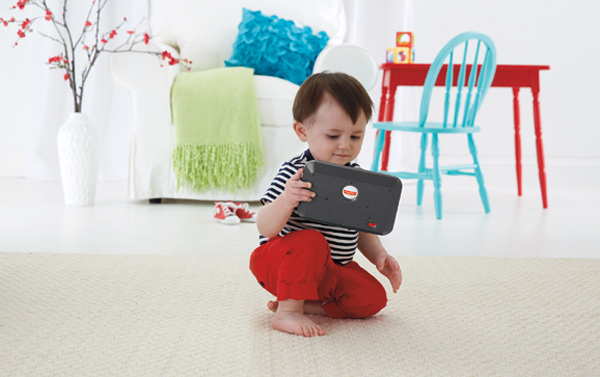 Take the time to discover Fisher-Price Play IQ and connect with your child in a way you never have before.